Women who contract Zika virus when they're pregnant are at risk of the infection spreading to the baby's brain and causing the condition microcephaly. This is how the emergence and recent epidemic of Zika in Brazil was first detected, when authorities began to notice very large numbers of cases of babies being born with abnormally small heads. Since then, modelling studies tracing the spread of the infection predict that more than a million pregnant women may be at risk of infection across the Americas in the coming years. 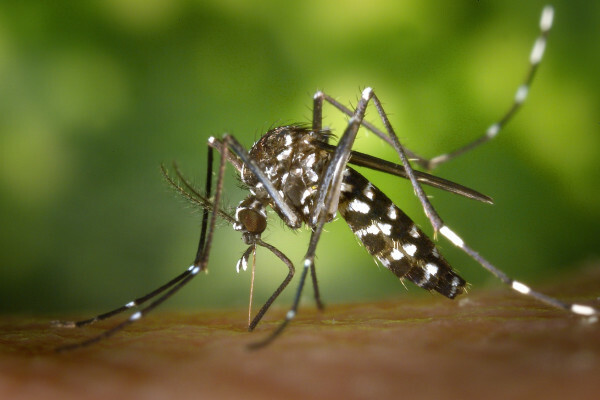 More encouraging news though is that this week US scientists have announced that a drug that's already licensed and safe for use in pregnancy can block the spread of Zika from a mother's bloodstream into her developing baby. Writing in the Journal of Experimental Medicine, Washington University, St Louis, scientist Indira Mysorekar and her colleagues have discovered that, in experimental mice at least, treatment with the anti-malarial hydroxychloroquine can protect developing mouse pups. The team made the discovery while probing the mechanism by which Zika virus infects a growing baby. "The placenta, which nourishes the developing foetus, is normally very good at protecting against infections," explains Mysorekar. "But some bacterial and viral infections have evolved to bypass this. And it turns out that Zika does this by hijacking the placental garbage disposal system!" Essentially, Zika virus stages its break-in by standing on the rubbish bins to clamber over the placental perimeter fence. Cells, including in the placenta, have a system called autophagy, which is a process by which waste products are broken down and recycled within cells. "Zika actually uses those materials," says Mysorekar. "So it actively stimulates the rate of recycling - or autophagy - in cells to boost the levels so that it grows better. And this is what gets it over the placental barrier and into the baby." Mysorekar and her team confirmed their hypothesis by using drugs and genetic manipulations to increase or decrease the activity of the recycling system in cultured cells and pregnant mice. Zika virus replication, they found was suppressed when autophagy was blocked. One of the drugs they tried was the anti-malarial agent hydroxychloroquine, which is already licensed for safe use during pregnancy "including during the critical first trimester," points out Mysorekar. Compared with placebo-treated control animals, pups born to animals given the agent following infection with Zika during their pregnancy were protected. Of course, a mouse is not a human, and mouse pregnancies proceed quite differently to humans, so these findings should be interpreted cautiously, not least because 80% of Zika infections are asymptomatic, so a pregnant woman would probably need to take the drug throughout her gestation, to prevent infection, which may be risky. "We first need to do trials in animals closer to humans, like primates. Then we'll know..."